For growing outdoors, ideally choose a sunny position. It is beneficial to incorporate garden compost or well rotted manure prior to planting. Set the bulbs 10-15cm (4-6") deep, 20-30cm (8-12") apart, and cover with compost or soil. As the stems grow, staking may be necessary. 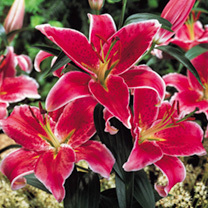 Lilies may also be grown in pots. 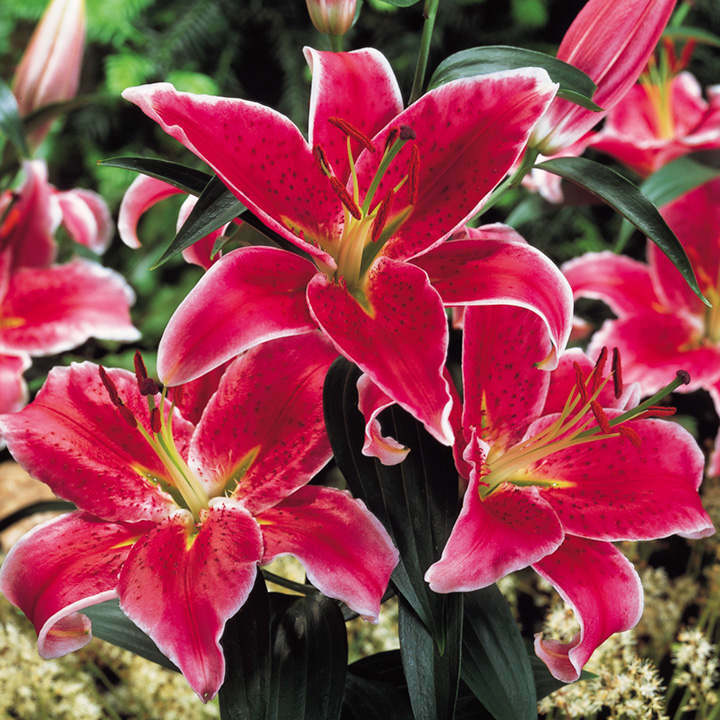 Please note: Lilies do not tend to grow to full height in the first year. Flowers June-August.